Tal Flicker claimed gold on the opening day of the International Judo Federation (IJF) Grand Slam in Abu Dhabi, but the Israeli judoka was forced to compete under the governing body’s flag. In the build-up to the event in the United Arab Emirates, reports claimed athletes from Israel would not have their anthem played should they triumph in an event. It comes as the UAE do not have any diplomatic relations with Israel and do not recognise the country. This controversy previously arose in 2015 at the IJF event, while Israel withdrew from that year’s World Youth Sailing Championships in Malaysia due to a similar row. 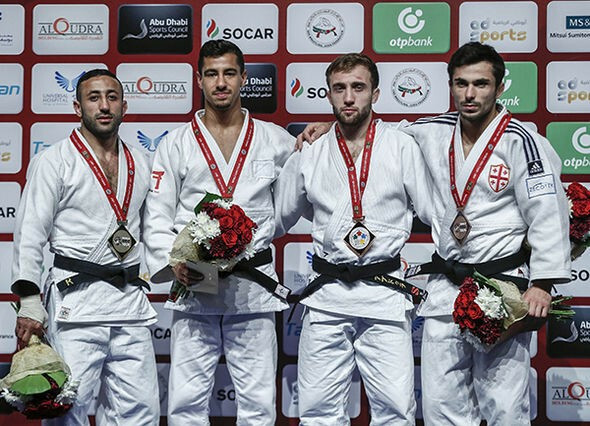 The prospect of an Israeli victory in Abu Dhabi was likely prior to the event, with Flicker heading into the competition as the world number two in the men’s under 66 kilogram division. He moved through the rounds to set up a final against Azerbaijan’s Nijat Shikhalizada, which saw Flicker emerge as the winner by an ippon score. The Israeli later stood on the podium for the medal ceremony, before singing Israel’s national anthem “Hatikvah”, while the IJF’s played in the IPIC Arena. Russia’s Abdula Abdulzhalilov and Georgia’s Vazha Margvelashvili also featured on the podium, after they won their bronze medal bouts. The second men’s competition of the day saw Russia’s Robert Mshvidobadze beat Brazil’s Felipe Kitadai in the men’s under 60kg event. It was the first time the European champion had triumphed at an IJF Grand Slam event, having previously competed in 17 tournaments without success. Bronze medals were earned by Uzbekistan’s Sharafuddin Lutfillaev and Spain’s Francisco Garrigos. Mongolia’s world champion Sumiya Dorjsuren triumphed in the women’s under 57kg final, beating Rio 2016 Olympic gold medallist Rafaela Silva. 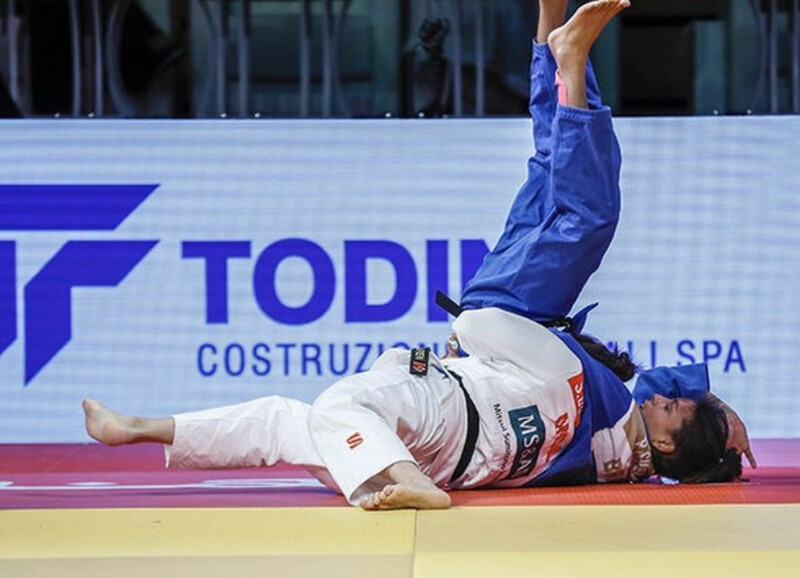 Dorjsuren prevailed by achieving a waza-ari in a golden score period, extending her record to five wins and two defeats against her Brazilian rival. Britain’s Nekoda Smythe-Davis and Russia’s Anastasiia Konkina won bronze in the division. 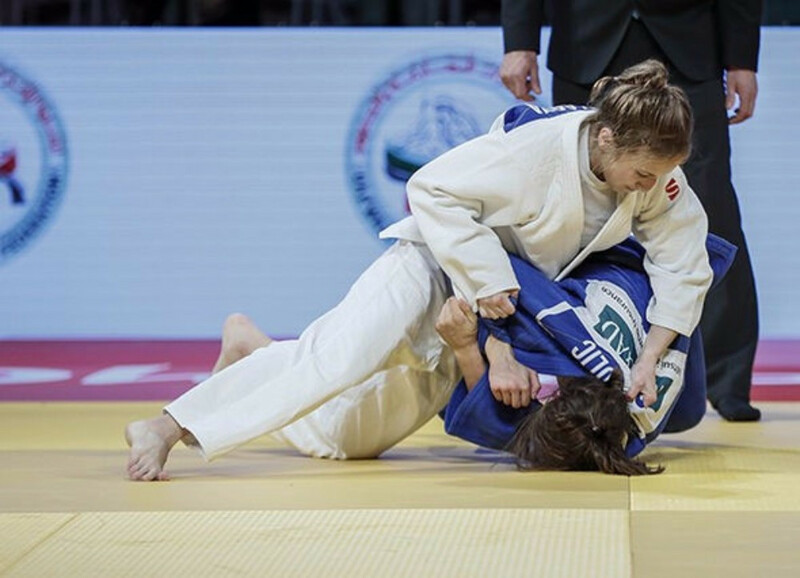 Belgium’s Charline van Snick clinched her first Grand Slam title by winning the under 52kg competition final with an ippon against Erika Miranda of Brazil. They were joined on the podium by Alexandra-Larisa Florian of Romania and Israel’s Gili Cohen. Cohen also competed under the IJF flag. There was success for Russia’s Irina Dolgova in the women’s under 52kg division, having previously triumphed at the Abu Dhabi event back in 2015. Her second title in the city came against Milica Nikolic, following her Serbian rival receiving a shido penalty in a golden score period. Argentina’s Paula Pareto and Kazakhstan’s Otgontsetseg Galbadrakh battled to the bronze medals in the division. Watch all the latest judo action on Judo TV here.